Dorman Direct-Fit Catalytic Converters (Federal EPA-Compliant) - OE Quality! 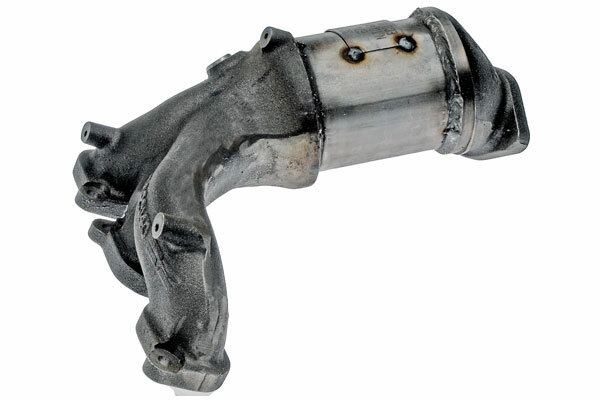 Pass your emissions test every time with the addition of a Dorman Direct-Fit Catalytic Converter to your vehicle’s exhaust arsenal. Compliant with federally-mandated EPA standards, these top-of-the-line replacements are manufactured from superior materials for quality you can count on, and boast a better design than your OEM converter. Designed for a direct-fit – just like the name implies – these puppies aren’t legal in California or any other state that’s adopted California Emissions Standards. Your Dorman Catalytic Converter (Federal EPA-Compliant) carries with it a limited lifetime warranty. Laws regarding replacement of catalytic converters are strict and vary by area. Check your local laws for regulations covering catalytic converter installation and replacement. Reference # 762-520-616 © 2000-2019 AutoAnything, Inc.